In the rim configurator of daekekspert.dk you get a quick and easy overview of the rims for your vehicle. Step 1: enter your license plate number to select your vehicle. As an alternative you can use the vehicle configurator. With both options we will offer you one of the biggest rim selections you can find in the internet from the leading rim manufacturer. In order to identify your vehicle, enter your license plate here. 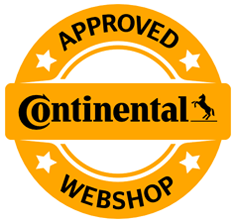 Should you decide on complete wheels in the further order process, please note the following hints: Our complete wheel prices include rim, tyre, valve, mounting of the tyre onto the rim, balancing as well as possibly needed mounting material. Each complete wheel will be individually mounted for you. Our complete wheel mounting is by default without the tyre pressure monitoring sensor.